★★★★★ “In The Dazzling Darkness by Paula Cappa, the Old Willow Cemetery is under the watch of its mysterious keeper, Elias Hatch. 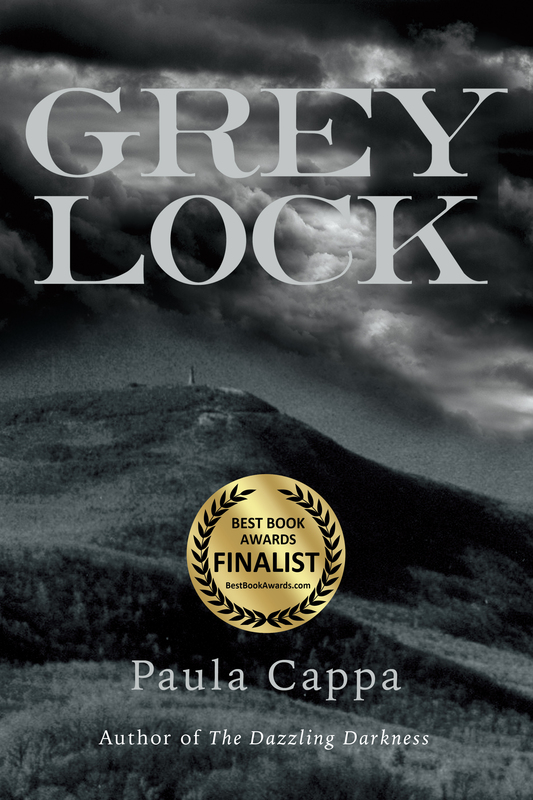 On March 20, when 5-year-old Henry Brooke fails to come home with his older sister, Detective Mike Balducci turns his attention to Hatch, and he’s about to discover the secret of the old cemetery. 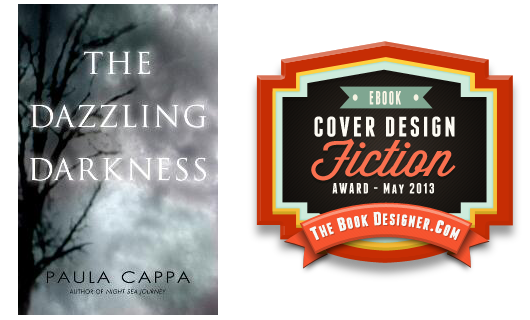 After reading The Dazzling Darkness I am pleasantly amazed with Paula Cappa’s beautiful and high standard writing style from start to finish. The pacing of the story is excellent, allowing me to really savor the plot. Cappa includes science, the afterlife, faith, mystery and even magic — it is a comprehensive supernatural fiction which will delight the readers. I am not thoroughly familiar with transcendental philosophy, but I did gain more understanding of it through this novel. I could not help but think that Cappa might have some experience that motivated her to — if I may say — interpret Emerson’s “Nature” in her own way. 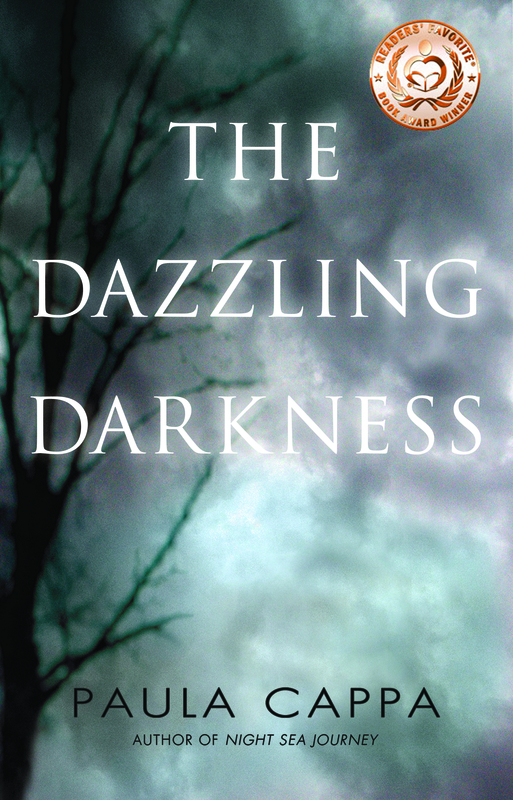 One of my new favorites, THE DAZZLING DARKNESS took me on a roller coaster ride I really didn’t want to be on, had the opportunity to jump off of at any time, but I couldn’t, because it was a ride I wanted to finish. I was so moved by the incredible tale of this missing child. Being the mom that I am, the “kind” of mom that I am, I am pretty often terrified of something happening to my babies and so maybe that is why I stuck with this book til the end. Just when you figured out “whodunit,” Paula threw you a new curve to keep you on your toes and to prove that she was the puppet master here, and we were all following her lead. I found myself getting upset with the author, saying out loud “OK, get to the end! Who did it? Where is he?” I had to realize that she was not around to hear my tongue lashings I was directing at her, but at the same time, I was praising her incredible work. Absolute perfection is what I’ve labeled this book and a must read for anyone who wants to believe in the unbelievable, and for those who doubt that Indie authors could ever hold a bestselling title. ★★★★★ “Immediately this novel captures your focus and provokes your inner inquisitive nature. You are first introduced to an abnormal character who spends the majority of his time in a cemetery, Elias Hatch, and just as his personality is intricately depicted, we are flown to the exotic and cultural Italy. Two mysterious men grab the reader with a hook and instantly pull them into an intriguing situation. Then tragedy strikes in Concord, Massachusetts, when the Brooke family discover their child, Henry, is missing, which catapults the story into a hectic police investigation, exploring every possible angle, interviewing several suspects and uncovering hidden truths. “It is an intelligently written book that keeps you alert to facts and names you suspect may be later referred to, or be a valuable clue in this mind-boggling puzzle. “I adored the distinguishing character features in this novel, especially the more eccentric characters that are instantly recognised by a hairstyle or type of clothing, or physical affliction. Although Elias is initially presented as the antagonist we often get the sense that he is simply misunderstood and just very odd. Also, with history of his family and their acquaintances being unveiled regularly, all arrows begin to point to a strange supernatural explanation to the child’s disappearance, that Elias is aware of, but not responsible for. “The parents’ frustration is truly felt at their everlasting struggle of constant false leads to their boy’s whereabouts; the characters appear so real in their ruthless determination at finding their son at any cost. Each time a clue is found you feel yourself becoming excited that this may be the one clue they needed to locate Henry. A few moments also show the emotional impact that a missing child has on the entire family, with dramatic arguments, as well as irrational and often extremely dangerous behaviour. 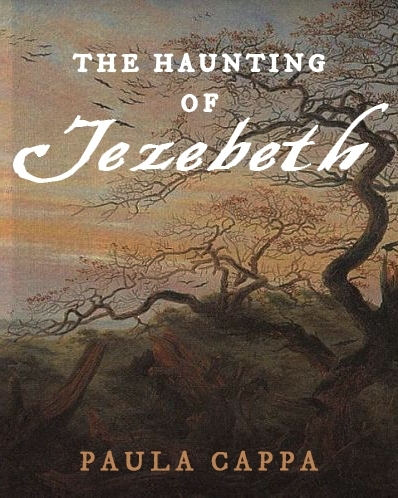 The insertion of poetry maintains a classical tone to the book, some parts were vaguely reminiscent to ‘Great Expectations’ by Charles Dickens, specifically the cemetery scenes. Furthermore the biblical flashbacks provide the reader with a religious insight and perspective to the current disaster. Some of which can be perceived as metaphorical comparisons to current events and also insinuating future events. The biblical feel of the book was not unlike ‘The Davinci Code’, with the historical tales of a saint and how her travels and discoveries relate to the case of the missing child and all the enigma that surrounds it. “This book is an inventive combination of crime, drama, horror and religion. It was incredibly informative and you not only receive a sense of pleasure from reading the book, you feel more educated in the world of religions. It is riveting, and becomes an excellent game of whodunnit with unusual characters and creepy revelations weaved into the story. The exploration of another world further than our own, a spiritual world, which has a set of rules contrasting greatly from reality, adds another dimension to this magnificent read. ★★★★★ “At the gates of Old Willow Cemetery, the twisted vines choke the bald ironworks, their thorny cords crisscrossed into images of wrinkled faces and hoodwinked eyes.” This excerpt is from the prologue. 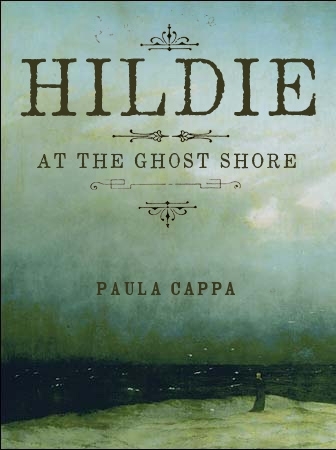 With such visually descriptive writing, Paula hooked me before I got to the first chapter. Young Henry is missing. His sister is burdened with guilt. She only let go of his hand for a moment. The parents are struggling to keep it together as days pass and still no sign of Henry. The Dazzling Darkness defies a genre. I would say it’s a supernatural mystery/thriller laced with Gothic horror. The author fed me bits and pieces, like bread crumbs. I gobbled them up, knowing they led to some revelations, to answered questions. I would start to get rushed, to speed ahead, but then I would become so engrossed in such things as a description of a new morning or getting started on a new day, that I would pause and reread the scene, visualizing it, feeling the moment. 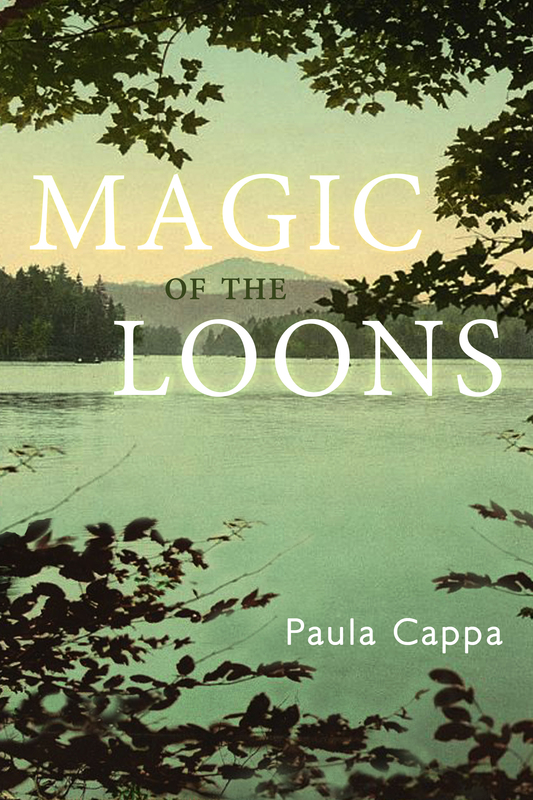 “In Paula Cappa’s The Dazzling Darkness, what starts out as a simple ghost story develops into a many-layered imaginative tale of the supernatural, science, religion, and love. The story is set in Concord, Massachusetts, an area rich in the transcendentalist philosophy of Ralph Waldo Emerson. Antonia and Adam, living near Old Willow Cemetery, are torn apart when their 5 year old son Henry slips away from his sister’s grasp and disappears on his way home from school. The panicked parents suspect Elias Hatch, the secretive cemetery keeper, who happens to be a devotee of Emerson’s philosphy. Restless cemetery residents begin to make appearances, even to Henry’s sister. Enter Detective Balducci, who has ghosts of his own, doing all he can to help. He even delves into graves with ancient secrets, such as crystal skulls, which emit powers of their own. There are amazing theories of morphogenetic fields of energy in the equation. International intrigue, flashbacks to the early Christian mysticism of St. Helena, and the very nature of death and resurrection all make for a heady tale set against the horrific tension of the search for a missing child. 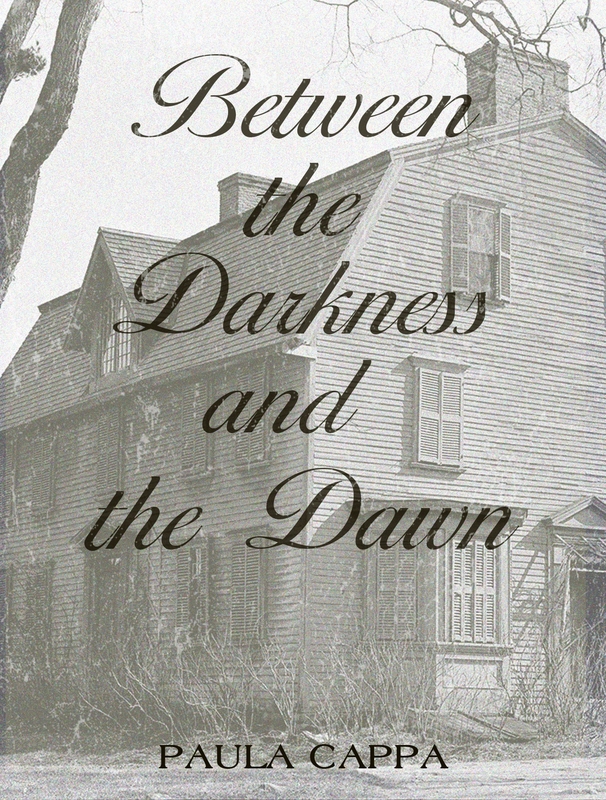 Review from best-selling author Amy Belding Brown, author of Mr. Emerson’s Wife. Review from best-selling author Jonathan Stone, author of Moving Day. 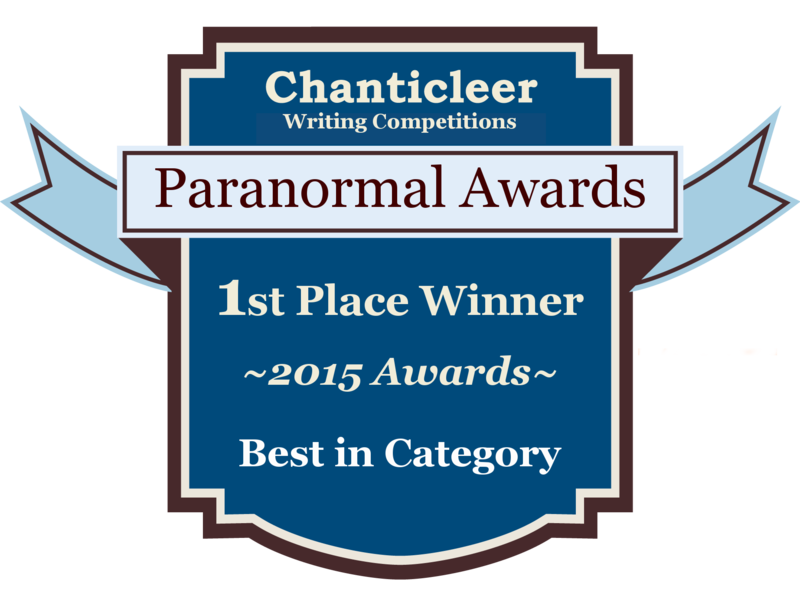 Review from Leigh M. Lane, author of Finding Poe. Review from Cathryn McIntyre, author of Honor in Concord: Seeking Spirit in Literary Concord and the upcoming, Thoreau’s Wise Silence. 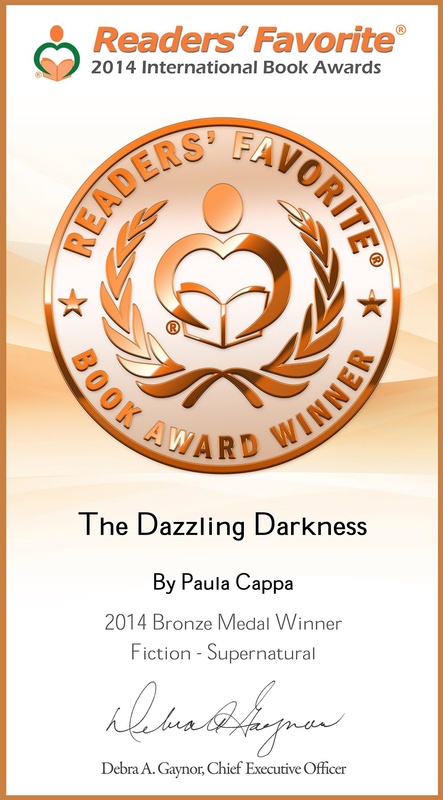 “Dazzling Darkness by Paula Cappa is a supernatural adventure where you join a family’s consternation for their young son who suddenly disappears on his way home from school. But do not be misled for this is no ordinary tale. With Henry lost the concern is so great that all the townsfolk pitch out to look for him, and yet when they find a trail in the old cemetery why does it go cold? The answers come in extraordinary but believable ways. From Eric Hoffer Book Award Reviews: “This romantic fantasy is propelled by gorgeous language and imagery. In the gothic world of this novel, dreams bleed into reality, as protagonists Kip Livingston, a painter, and Raymond Kera and Father Garcia, two Roman Catholic priests are drawn into a clash between the angels and demons of Hebrew mythology. Each of these characters has visions—either nightmarish or heavenly—which seem to graft themselves into their waking lives. The grime of inner city Chicago, the tranquility of the Rhode Island coastline, and the depths of a phantasmagoric ocean are the stages for this conflict, which is as much about finding inner forgiveness as it is about finding outward peace. 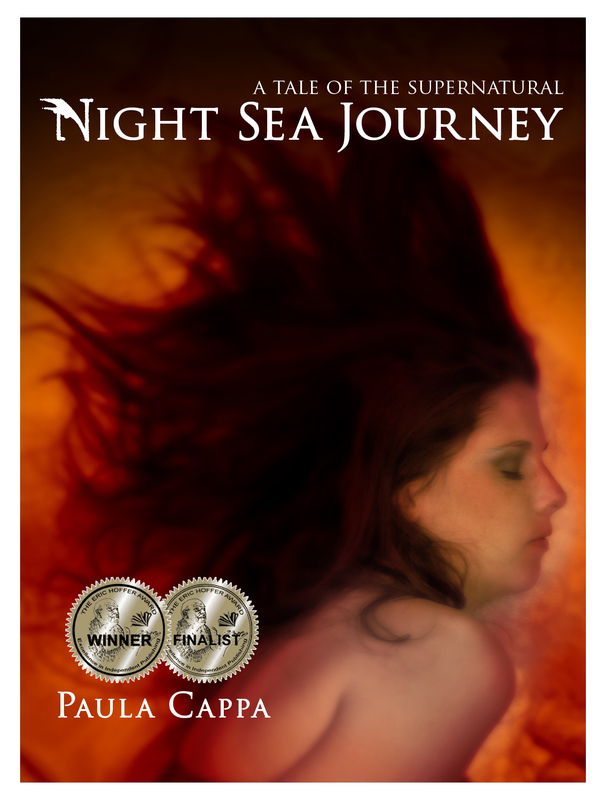 Click the bookseller to purchase Night Sea Journey, A Tale of the Supernatural. Ebook and tradepaperback, published by Crispin Books. Wow- what an impressive list of excellent reviews! Are you on Goodreads too? I am on Goodreads. Thank you, Sweetyshinde, for commenting. I love Goodreads! May I add you to my Book Reviewers blogroll? Oh yes, I’d love it. Thanks so much. Good of you to say. Thanks!